Are you ready to take your selfie addiction to a whole new level? Have you ever wondered if there’s a game out there that is selfie-centered? 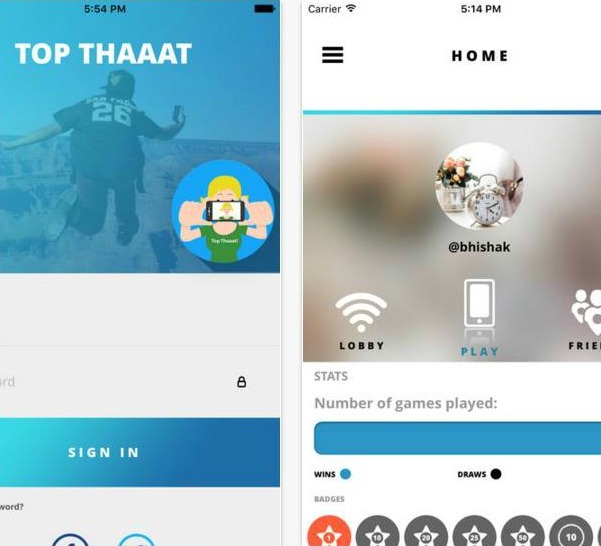 Well now you have the answer, because there’s a brand new iPhone game out there called Top Thaaat that will finally quench your selfie addiction. This game app is a fun new way to interact and have fun with other people in a challenging way. Top Thaaat is a brand new selfie game that every selfie lover will hold dear to themselves. The app offers you a chance to invite and challenge your friends and relatives in a casual and friendly selfie face-off. With the app, you have the option to pick or create a challenge that you and your friends can try to finish. The person that has the selfie with the highest point score wins the challenge, and is eligible for bragging rights. Users can then share their fun selfies with other people on their favorite social networks, or directly within the app’s community lobby. So what are you waiting for? Grab Top Thaaat and grind yourself some of that sweet street cred! You can find and download the app directly from the App Store.